Hi everyone! 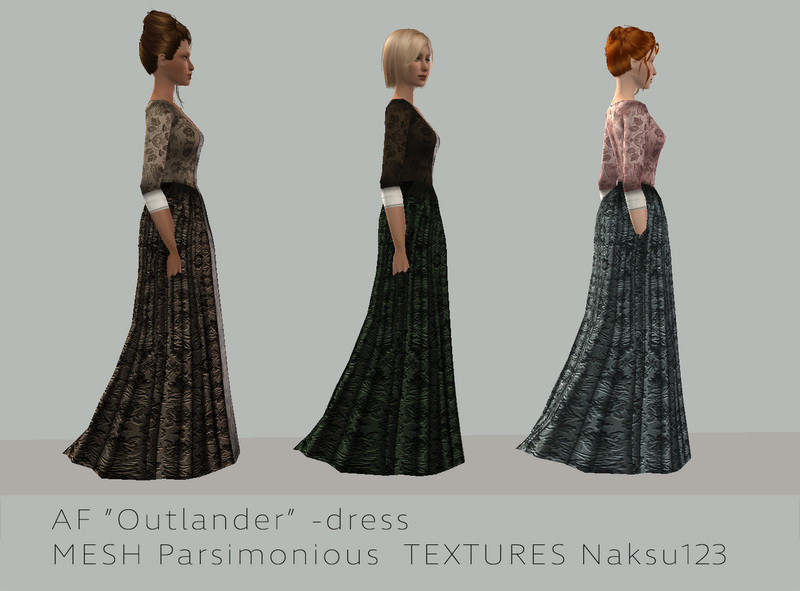 I got the inspiration for this dress from TV-series called Outlander which I have been now watching. 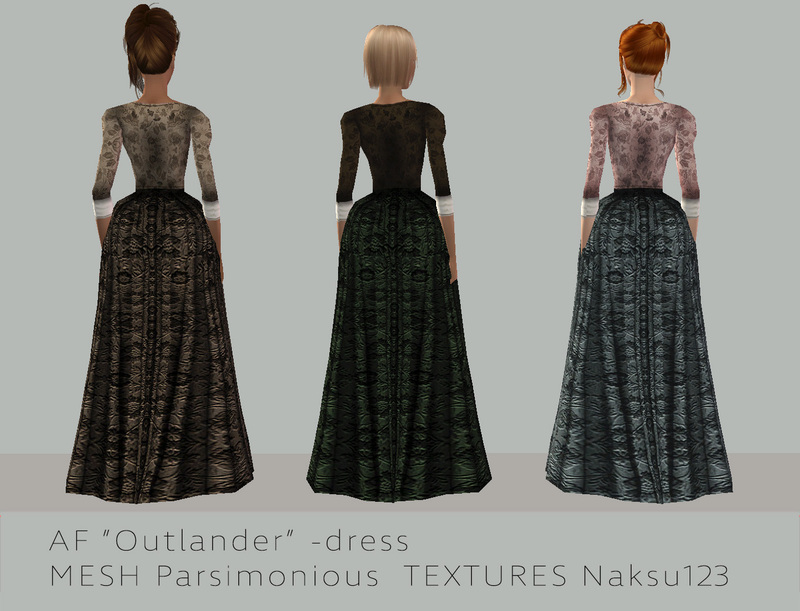 I made three recolors/retextures for Kate's mesh from Parsimonious. Huge thanks for Kate and Parsimonius for making this mesh and for their mesh-using policy! MESH is included in the zip file. 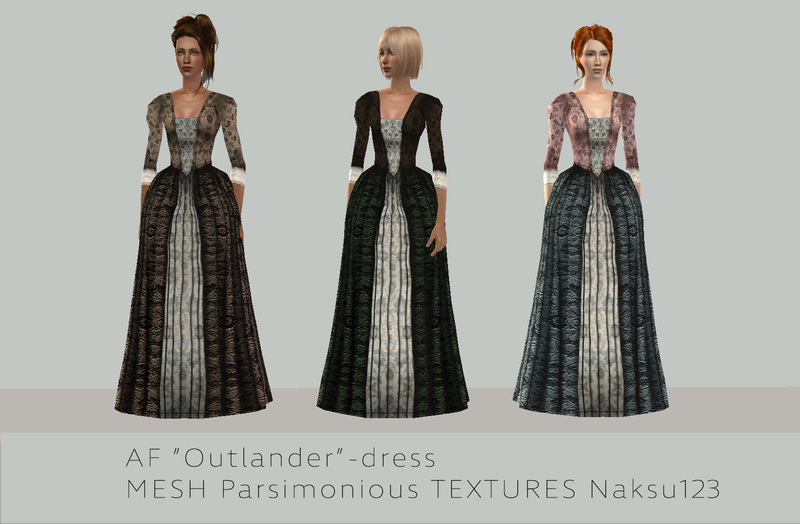 Tags: #"historical", #"medieval", #"medieval, #clothing", #"outlander"